Whilst I am a biographer of Anne Brontë, and my enthusiasm for the youngest Brontë is plain to see, I’m a huge fan of all the Brontë sisters. As we look back to 2016, it’s only right that we should remember Charlotte Brontë, as the year has marked the 200th anniversary of her birth. 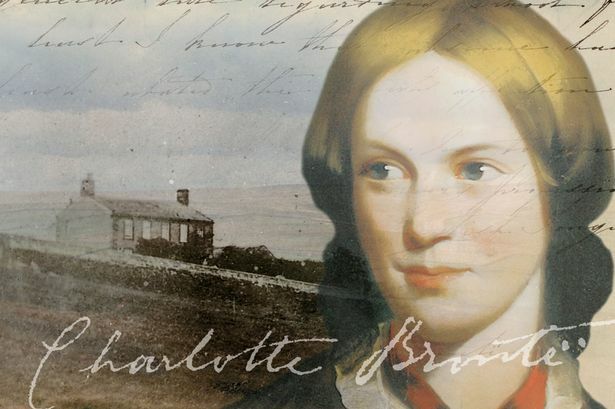 That’s why in today’s blog I’ve chosen to present ten fascinating facts about Charlotte Brontë. You may know some or all of them, or none, but they all shed light on Charlotte as a person, the struggles she had to face, and how that influenced her writing. Charlotte was very short sighted, taking after her father who in later life had to have his cataracts cut away without an anaesthetic. She was so short sighted that she had to give up playing the piano, as she couldn’t read the sheet music in front of her. Nevertheless when she was a teacher, her pupils were amazed to find that she could seemingly read perfectly well in darkness, an ability that they thought was some kind of magic. After spending one year there as a pupil, Charlotte returned to Roe Head School near Mirfield in the capacity of a teacher. She soon found life as a teacher very different to life as a pupil. Her ‘Roe Head Journal’ of this time is a vicious, angry diary speaking of loathing for her pupils and for herself. She writes of ‘stupidity the atmosphere, school-books the employment, asses the society’ and ‘a dolt came up with a lesson. I thought I should have vomited.’ Emily, very briefly, and Anne were pupils at the school, but after their exits her loathing of teaching grew even further until her mental health collapsed and she imagined she had illnesses that no-one else could see. Eventually a doctor was called for, who said that she must return to Haworth or die. Most people today assume that Jane Eyre was Charlotte’s first novel but in fact that honour falls upon The Professor. The sisters planned to have three novels published together, but whilst Anne Bronte’s Agnes Grey and Emily Bronte’s Wuthering Heights were published together by Thomas Cautley Newby, not one company would touch Charlotte’s novel. She had a list of publishers in England, and exhausted it completely in her efforts, but it would only finally be published posthumously – when published it became clear that she had recycled much of its contents and themes in her final novel ‘Villette’. She more than made amends, however, with her second novel about a certain governess. Charlotte’s experience at Roe Head hadn’t completely deterred her from becoming a teacher – after all what else was there that she could do? Aged 21 Charlotte, with Emily alongside her, left Yorkshire and travelled to Brussels, with the intention of learning languages that would help them set up their own school upon their return. She made good progress at the Pensionnat Héger school, but rapidly fell in love with the stern master Constantin Héger. He would be an inspiration for Rochester, but he had the same problem in that he was married. After returning to England, Charlotte wrote him a series of passionate letters. One such reads: ‘I know that you will lose patience with me when you read this letter. You will say that I am over-excited, that I have black thoughts etc. So be it Monsieur – I do not seek to justify myself, I submit to all kinds of reproaches – all I know is that I cannot – that I will not resign myself to the total loss of my master’s friendship. 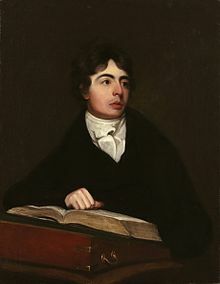 I would rather undergo the greatest bodily pains than have my heart constantly lacerated by searing regrets.’ He never replied, and in fact cut up the letters, but his wife for some reason pieced them together again, which is how they are now at the British Library. Despite her concerns about her appearance, Charlotte Brontë rejected at least three proposals of marriage that we know of. The first was from Ellen’s brother Henry Nussey. 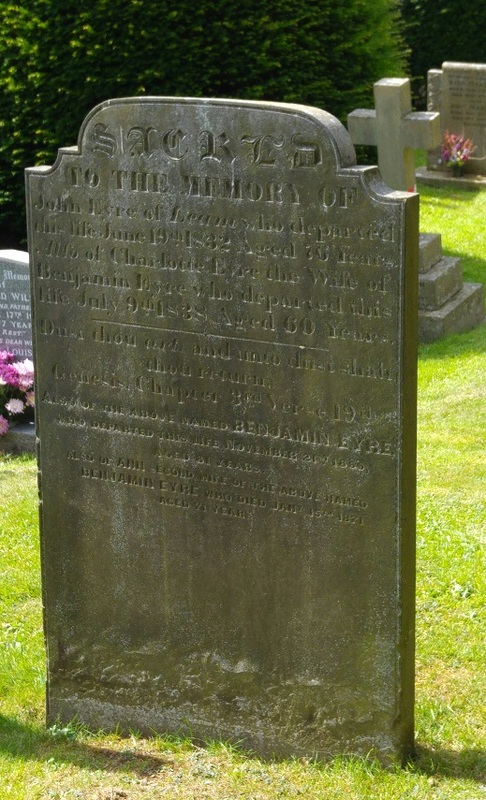 He later married Emily Prescott and became vicar of Hathersage in Derbyshire. He remained there for only two years however, before ill health made him give up his career as a priest. He was later committed to Arden House Lunatic Asylum, where he hanged himself in 1860. Charlotte often visited Ellen at Hathersage, where she frequently stayed with her brother. In the middle of the Peak District it was later depicted as Morton in Jane Eyre. Inside the Hathersage church that Henry Nussey presided over is the large tomb of Robert Eyre, and a stained glass window to William Eyre, who was a leading light of Hathersage society at the time of Charlotte’s visits. She would have visited the Eyre family at North Lees Hall near Hathersage, and this is likely to have been the inspiration for Thornfield Hall in ‘Jane Eyre’. Inside it was the grand and imposing cabinet with twelve panels each depicting an apostle. The cabinet is recreated in the book, and now resides in the Brontë Parsonage Museum. One of Charlotte’s greatest literary heroes was William Makepeace Thackeray, author of Vanity Fair among other works, so she dedicated the first edition of Jane Eyre to him. Unfortunately, Charlotte didn’t know that Thackeray actually did have a mad wife that he kept confined within his home. Whilst a public secret it was well known to London society, who assumed that this new author ‘Currer Bell’ must know Thackeray, and have modelled Rochester on him. When they later met Thackeray characteristically laughed it off, although Charlotte was mortified when she discovered the truth. There are many other fascinating facts about Charlotte: how she owned a piece of Napoleon’s coffin, how she may have made a non-marriage pact with her best friends, how she kept her writing a secret from her own father, how the death of her sisters changed the course of one of her novels, and how she left her future husband ‘sobbing as no woman ever sobbed’ when she rejected his proposal. Of course, the most fascinating tales of all are inside Charlotte’s books, and those of her sisters Emily and Anne Brontë. I believe this to be the case when CB arrived at Miss Wooler’s school , for Mary Taylor tells us so. However I’m willing to bet the teenage Charlotte made a conscious effort to alter that accent while at the school. I would not be surprised both, she took on Miss Wooler’s accent and also when CB became angry, the Irish returned lol. Previous Previous post: The Return Of AnneBronte.Org And A Book Giveaway!